According to the Bureau of Labor Statistics’ most recent data, there are currently 10.2 million unemployed persons in the U.S. That not only equates to a 6.6 percent unemployment rate, but for job seekers, tough competition when it comes to landing a job. And isn’t the job search already tough enough? Sifting through job boards, company career pages and social network profiles just to find available (and suitable) positions. And then taking skills test, assessment tests, and perfecting resumes and cover letters just to apply for the openings. Add the fact that many job seekers never hear back from employers after applying for a position and it’s pretty clear to see how the job hunt can easily becoming discouraging. 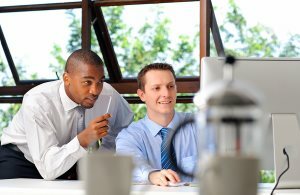 What are job seekers to do? Well, according to Kelly Walsh, creator and owner of 1 Smart Life, LLC, a great way to boost your job search efforts (and successes) is to get a life coach. For 18 years, Walsh has successfully coached individuals and business leaders to reach their highest potential. And she and her team at 1 Smart Life offer personal coaching for a range of areas from careers and relationships to spirituality and money. 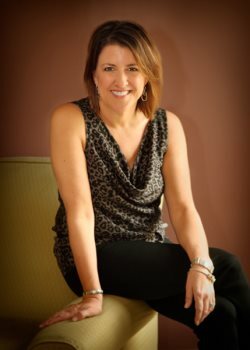 Recruiter.com had the opportunity to gain insights and advice from this life coach expert. Read on to discover what she had to say about being successful with today’s job search and the benefits of investing in a life coach. 1. How can a life coach help you with your job search? A coach can help you clarify what you want to be, do, and have. Once we crystallize our desires, a coach will help you plan multiple pathways for achieving those goals. 2. Can a coach help you get ‘unstuck’ and what are the steps one would take in finding the right coach? Coaches live to help people get ‘unstuck’! Finding the right coach can be a matter of asking friends, researching local resources on the internet, or doing a search on the ICF (International Coach Federation) website. Finding a coach with the right chemistry, background, and experience you need is critical; don’t rush it. 3. Is it a costly venture to invest in a coach? Prices vary with the coach, and are often based on their experience and expertise with the subject area. Some charge hourly rates while others charge a retainer fee by the month. It is reasonable to invest at least $1000 if you really want to accomplish big change. Most people who have experienced coaching will tell you that they have received tremendous value from their relationship with their coach. 4. The job forecast came out for January with economists expecting the Labor Department to report the economy added 181,000 jobs. From your experience, are there any tricks to standing out when applying? Yes, absolutely! If you are looking to be hired by a large company, it is sure to use an applicant tracking system (ATS), so beware of the filters and tailor your keywords and phrases to each opportunity. A stylized infographic resume can be the right choice for a small, entrepreneurial firm or a creative position, just make sure your resume has substance as well. Above all, get help if you need it. It can be very hard to “brag” about yourself and a coach can often help you pinpoint your key strengths better than you can on your own. 5. Can you help a job candidate negotiate salary? This is a very important coaching point to address prior to the initial interview. Determining your worth when you are dying for an offer does not result in negotiation from a position of power. While a coach typically does not tell you what to accept or reject, we may help you determine what you want or need and suggest negotiation points you may want to utilize. 6. What is the difference between a life coach and an executive coach or is there one? Life coaches work with people in all areas of their lives such as relationships, transitions, and any area where someone wants to thrive rather than just survive. An executive coach is typically more business focused and has education and/or work experience in business matters. Executive coaches often work with top leaders and middle managers to help them improve leadership capabilities and overcome challenges in their work arenas. Since our work and the rest of our lives are linked, many coaches overlap into both areas. 7. What are some quick tips you have to update your resume? Create a powerful “impact statement” near the top to brand yourself. Use power verbs when describing your work experience (try “developed” instead of “responsible for”). Clean it up: don’t try to tell your life story, just the highlights. Include results to show that your work had impact (did it save money, improve customer satisfaction?). 8. Is now a good time to start a job search and if not, why not? It’s always beneficial to be prepared for a job search. The economy is picking up, so that’s good news for the job market. With social networking, job boards and referral networks so active, job opportunities can appear at any time and you want to be ready. We also live in a world where work can change quickly and you want to know what’s happening in your field. Even if you are not in an active search, it’s a good idea to be prepared for when opportunity knocks! Don’t be afraid to ask for help. Think of the hours and years you spend working and the impact that your career has on your personal life. It’s certainly worth spending some time with an expert to help you make it time well spent. Career happiness is life happiness and you are worth it!